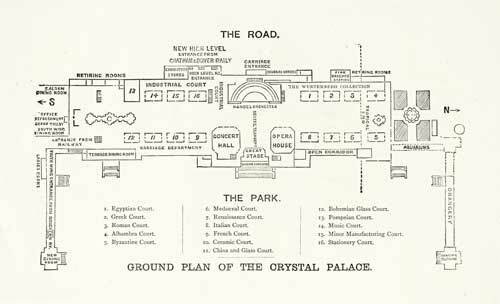 Plan, from Guide to the Palace and the Park by Authority of the Directors. London: Crystal Palace Press, Charles Dickens and Evans, 1878. This image is in the public domain in the United States because its copyright has expired.